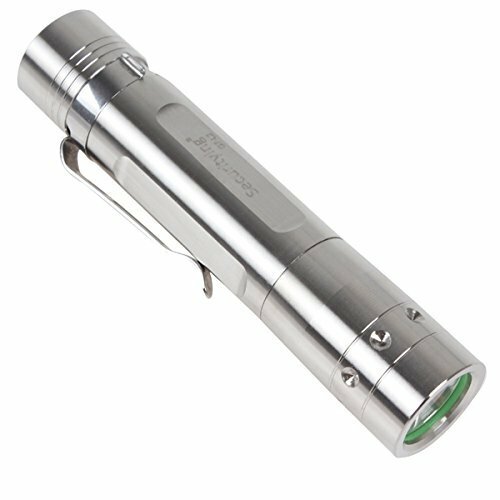 700LM Flashlight & Long Lifespan: With 1x Cree XM-L2 LED whose lumen is up to 700LM and the lifespan is more than 100,000 hours. Wear-resisting: Adopts unique body design and pocket clip, the torch will be more wear-resisting, comfortable. Deep Light Cup: With ultra deep light cup, which can put the brightness of the light source to the greatest extent. 5 Switch Modes: With 5 switch modes, Lo > Mid > Hi > Strobe > SOS which is suitable for various outdoor activities like camping, hiking,etc. Power Source: 1 x 18650 Rechargeable Li-ion Battery (Not Included). If you have any questions about this product by SecurityIng, contact us by completing and submitting the form below. If you are looking for a specif part number, please include it with your message.